Design and attention to detail are key in creating functional parts storage, and using the right storage solution to fit the way you work turns that key in your favor. For dealers who must store thousands of valuable small parts in a confined space, keeping everything securely and safely organized is vital. Do you turn away customers because a part or accessory is not in stock or cannot be located? Does your CSI (Customer Service Index) meet or exceed the industry standard? Are new model introduction parts easily absorbed into your Parts Department? 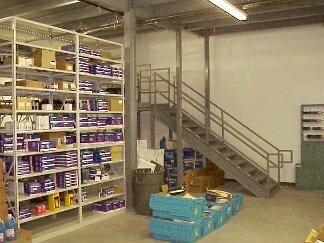 Does your Parts Department consistently show satisfactory inventory turns? Does your Parts Department produce satisfactory payback or ROI (return-on-investment)? If you cannot answer "yes" to all of these questions, it's time to consider modernization. Even if your Parts Department is operating satisfactorily, you may want to improve its efficiency and/or profitability even further. In either case, contact Cisco-Eagle today. We'll help you take it to the next level.